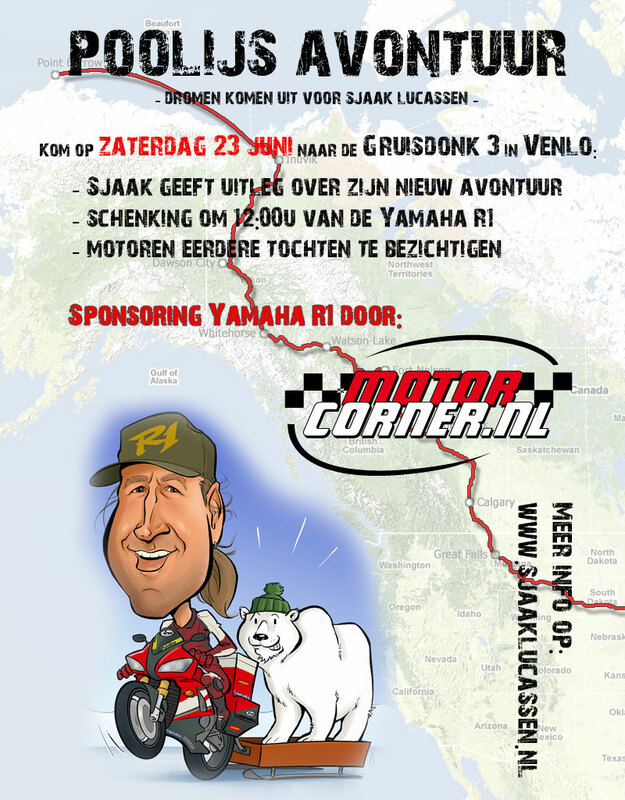 Flyer: about the donation of the bike which took place on Saturday 23 June, 2012. 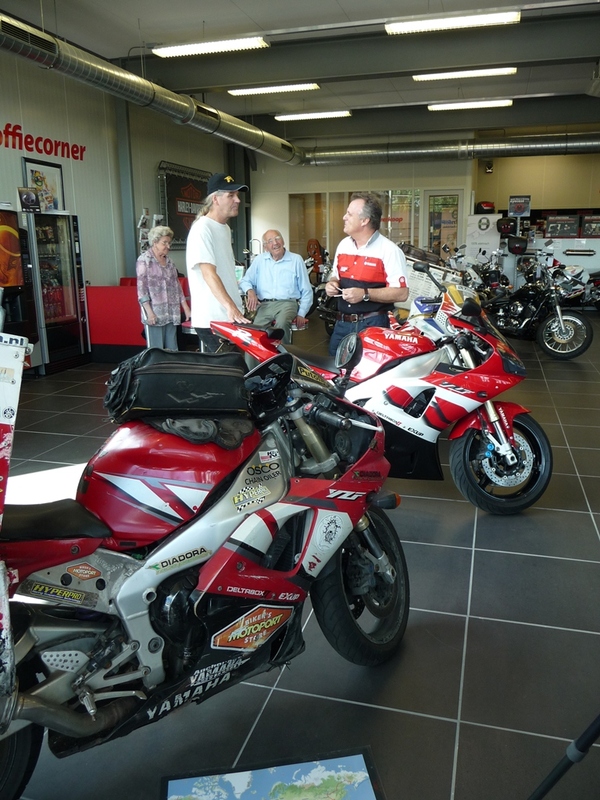 Speech from Mr Hoogstraten of MotorCenter / MotorCorner. 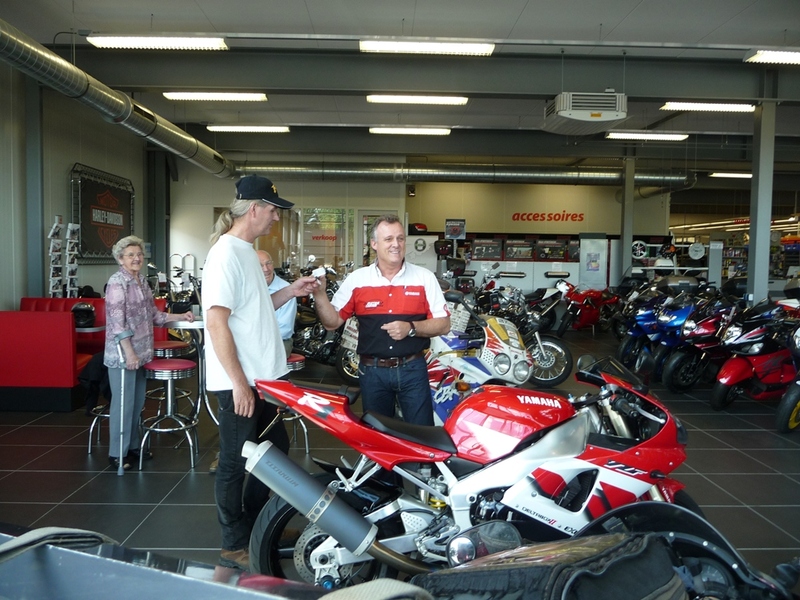 Mr Hoogstraten of MotorCorner.nl & MotorCenterVenlo hands over the key. 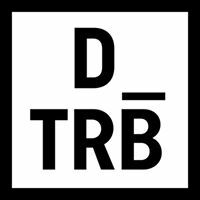 Thanks to them this dream finally takes shape! Polypla a company which makes swimming pools among others things, sees a great challenge in designing and building the ‘Polar Ice Ride sledge. Because of their enormous experience with plastics, I’m extremely happy with Polypla as a sponsor. The first drawing(s) are expected soon! 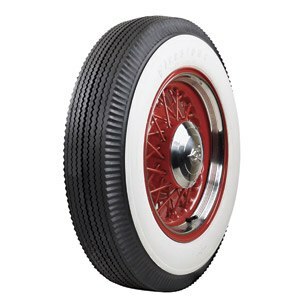 Just ordered two new classic tires. After getting them a retread by www.reifen-immler.de and fitt them with studs from best-grip.com they should be ready for the polar ice! For the rear I use a 700-16 which is 78 centimetre (30.5 inch) in diameter. 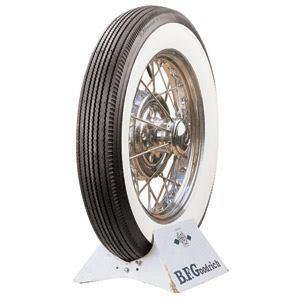 For the front I use a 550-17 which is 71,5 centimetre (28 inch) in diameter. 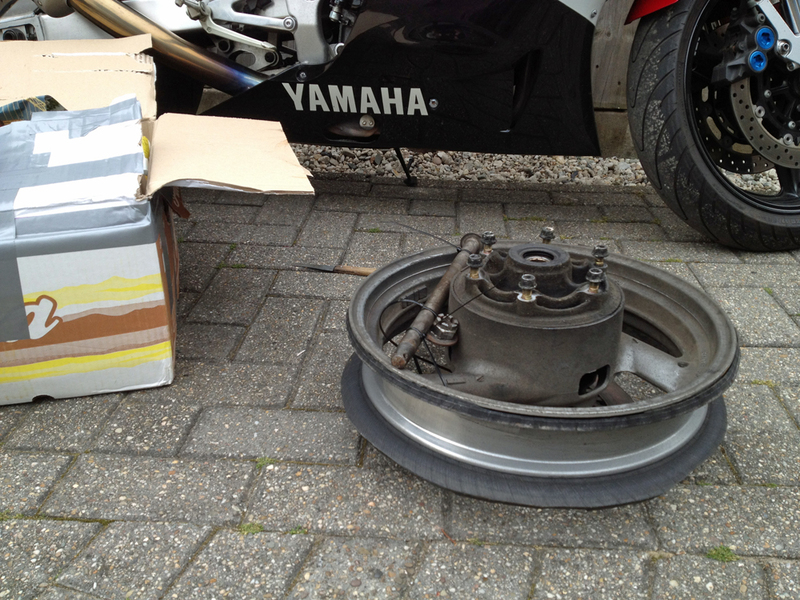 Thanks to Ard Pastoor I now have a 16 inch rim, but can I adapt it to fit the R1? Just got a message that the Goodrich tire is not available. They send me this one instead. 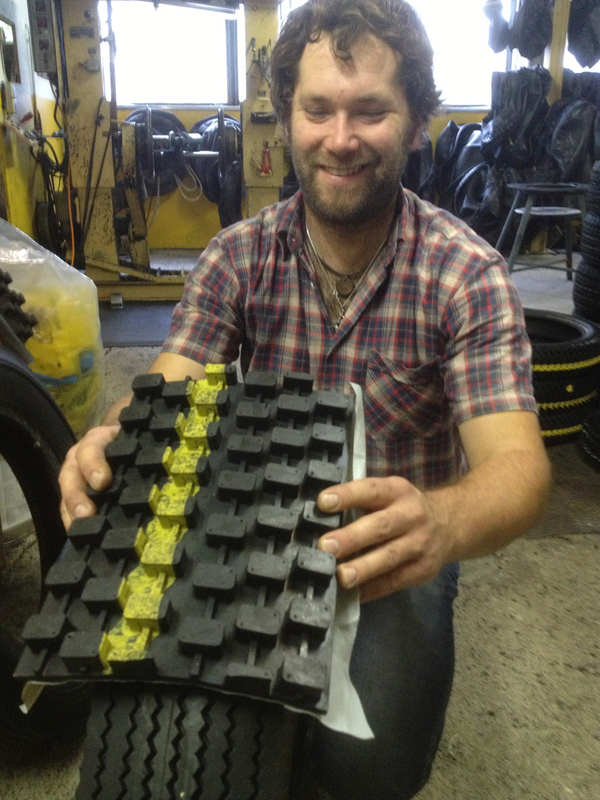 Polar Ice Ride tires arrived! 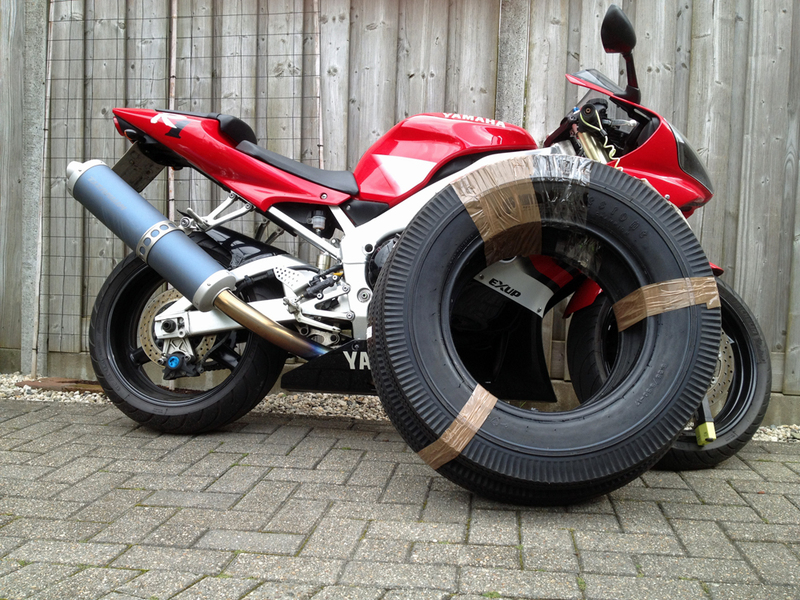 The Polar Ice Ride tires are mounted on the rims by Motor Service Vierlingsbeek. One front fork is extended with 10cm/4inches. 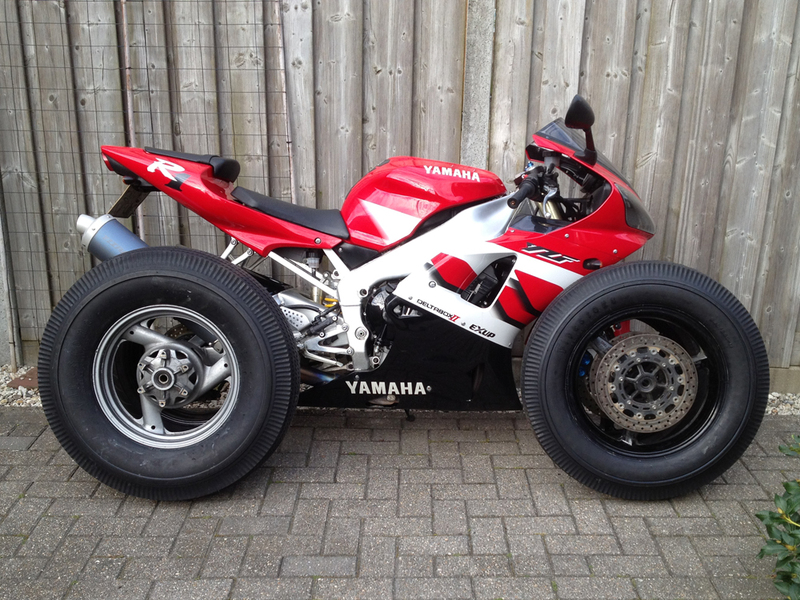 When both forks are ready I can lower them to fit the huge front wheel. The extension looks simple, but isn’t because it replaces the cap bolt which holds the springs preload adjuster and rebound adjuster. 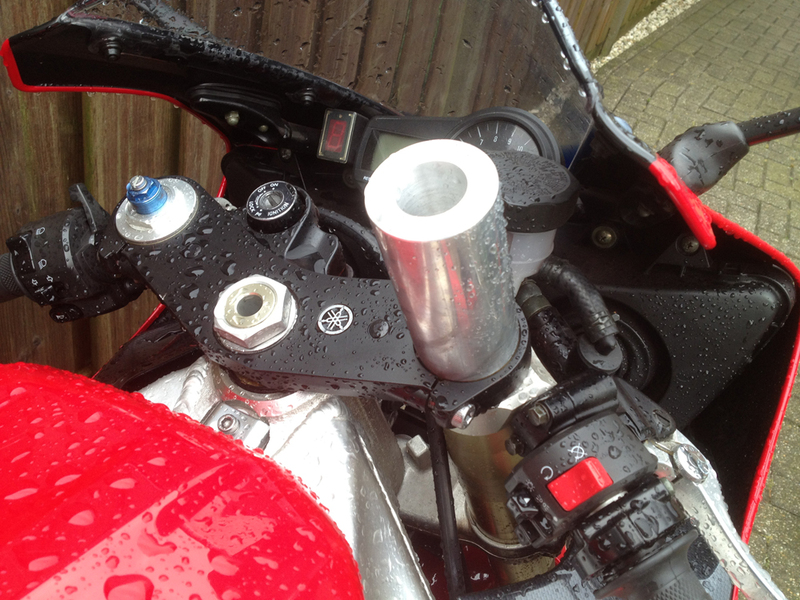 Thanks to the inventers of the OSCO chainoiler who were so kind to built it for me. 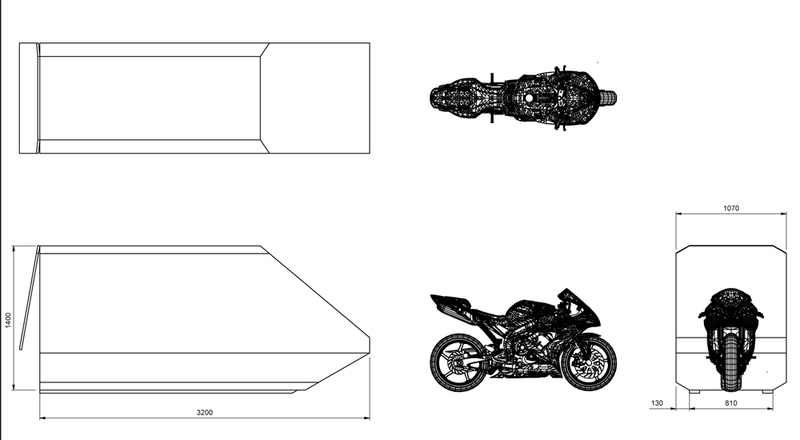 First drawings from Polypla, the company who is going to build the sled. Download now for free this full view 360-degree image of the Polar Ice Ride R1. 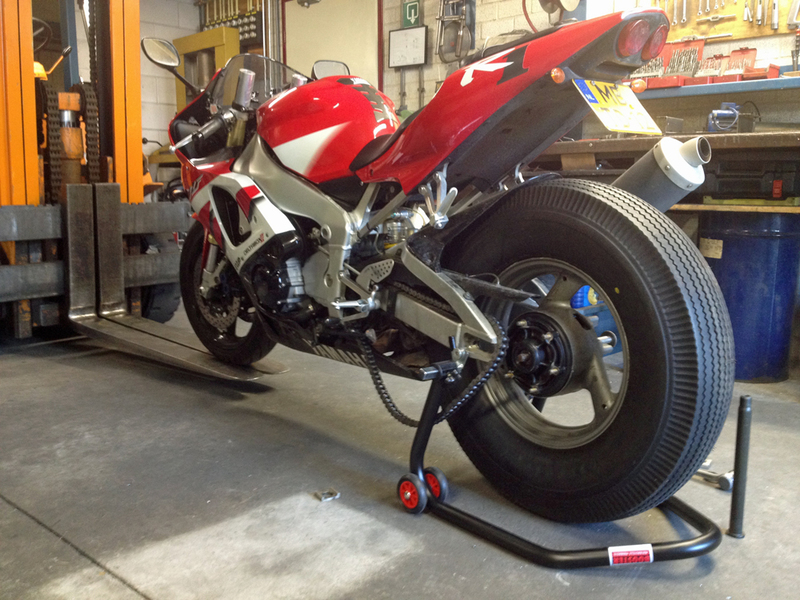 At Reifen-Immler they’ll put the Polar Ice Ride Tread on the classic car tires that I’m going to use on the R1. 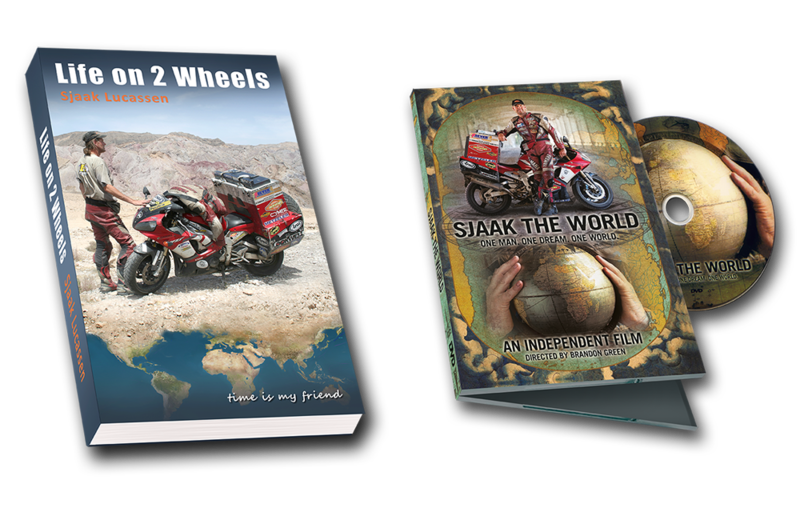 The Cross 1 pattern – for the rear tire – will be used in its full width. From the Cross 3 pattern – for the front tire – the outside row of nobs will be cut off. An approximately 16 cm / 6 inch wide tread will remain.